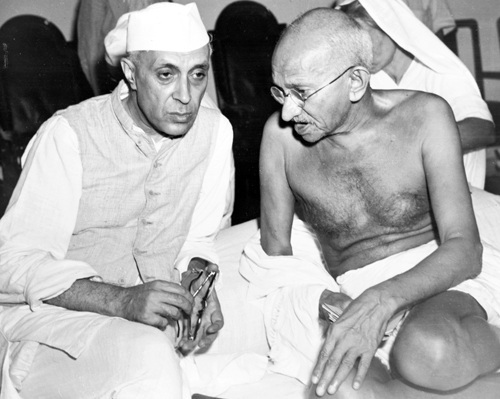 View Jawaharlal Nehru and over 3,000,000 other topics on Qwiki. 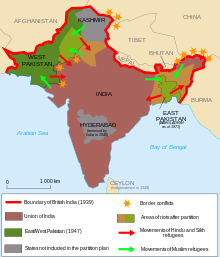 In 1947 the British end their involvement in India and decide to divide the country into India for Sikhs and Hindus and Pakistan (east and west) for Muslims. Jinnah administered Pakistan (becomes leader) and Nehru became the first Prime Minister of India. 30 million people had to leave their homes to relocate due to religion and 500 000 people killed during the mass movement so independent regions stayed for some time but eventually moved..